The Range Rover Sport SVR is one of the increasingly popular crop of large, high performance SUVs available on sale now. It recently tackled the world-famous Tianmen Road in China faster than a Ferrari 458 Italia to showcase its performance capabilities. 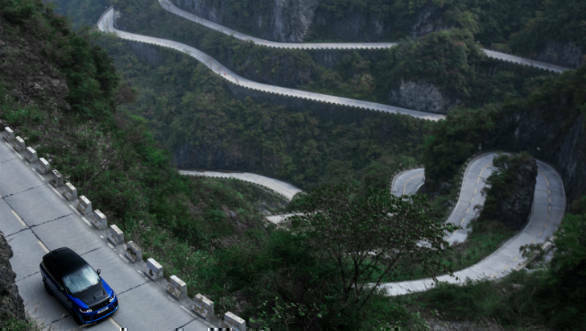 Located in the northwestern Hunan province, the 11 kilometer long road snakes around the Tianmen mountain. It features 99 turns and a 1,000m elevation change, making it a uniquely challenging drive. The standard production spec Range Rover was piloted by Le Mans class-winner and Panasonic Jaguar Racing reserve and test driver, Ho Pin Tung. The SVR set a time of 9 minutes 51 seconds, beating the earlier record of 10 minutes 31 seconds held by a Ferrari 458 Italia in 2016 driven by Italian privateer Fabio Barone. 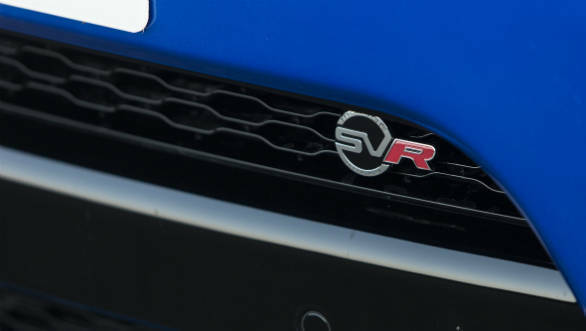 This achievement can be put down to the SVR's 5.0 litre supercharged V8 which puts out 575 PS of power and 700 Nm of torque, an increase of 65 PS and 90 Nm from the standard Range Rover Autobiography V8. Further giving the burly SUV an upper hand are the changes made specifically to this model by the engineers at JLR's Special Vehicle Operations (SVO). This includes new front air inlets, optional exposed carbon fibre bonnet, stiffer suspension and increased use of lightweight materials to enhance performance, handling and agility. The overall effect of this is the 280 kmph top speed and a 0 to 100 kmph time of 4.5s. Unsurprisingly, this is also an increase of 55 kmph and a drop in 0.9s from the standard car. The Range Rover Sport SVR adds to the traditional Range Rover attributes of luxury and off roading ability by offering an impressive turn of pace for a car that will essentially see duty as a full time family hauler.